But tight as our family budget may be, we’re in economic clover compared to much of the world. Take the US, that land of plenty: more than a million of its children go to bed hungry every night. In the developing world every year, fifteen million children die from malnutrition and almost a billion people endure chronic hunger. They don’t die or suffer because there’s been a drought or some other disaster. They die because a political and economic system is in place which keeps the world lop-sided. In the developed world we eat so much, our overweight children have become a problem; in the developing world, millions scavenge for a crust and children’s bellies bloat as they sicken and die. A couple of weeks ago I was privileged (I know, I know, but it’s the only word) to be in Belfast City Hall at a Trocaire event organized under the auspices of our excellent young Belfast mayor Niall O Donnghaile (yes, Ruthie, you heard me – EXCELLENT). He’s madeTrocaire one of the official charities for his term in office, and at the event the audience heard first-hand accounts of that organisation’s work throughout the developing world. As the slides flashed on the screen I squirmed and hoped no one knew about the trivial things my money had been spent on during the past year. A particularly enlightened aspect of Trocaire is that it stresses the need to work for social justice. Fifteen million children die of hunger each year not because there’s not enough food in the world – we’ve more food per head now than ever before. Nor because there are some “naturally poor” countries. It’s because the powerful of the world have organized things so we burp and wonder how to cope with our waste while the wretched of the earth grow gaunt and suffer. Where most of us shake our heads and cluck our tongues; Trocaire rolls up its sleeves to help the dispossessed find a way to live. They’re good at marketing too. That little RTÉ ad, for example. Voice A: Granny wants a goat for Christmas. Voice B: She wants a coat? Voice A: No, a goat. Voice B: A GOAT? Oh OK. She’s the boss.” They even break down their appeal so there’s one for each family member. 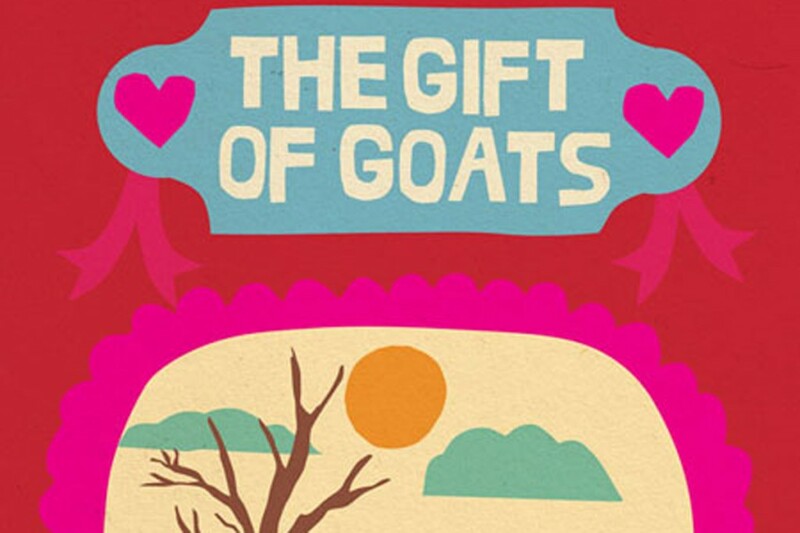 Get Gran and Dad one of those goats this Christmas (a goat-for-a-goat sort of thing) and a family in the Democratic Republic of Congo will find life transformed. Get Mum safe motherhood for someone in Somalia, where more infants die at birth than nearly anywhere else on the planet. Get youngsters to buy school fees and lunches, get farmers to give a gift of chickens – there’s even a gift for a budding entrepreneur to help buy a house for a Honduran family who’ve been living under plastic since being evicted from their homes. Go on, get Granny a goat and tell her to pass it on. It really is better to give than receive.